As long as you have paid the premium, we will provide the services and benefits described in this cover during the period of contract set out in the schedule. We will use the details that you have given us to provide the services and benefits set out in this cover, subject to the following terms, conditions and exclusions, together with any applicable endorsements. You should read all of these carefully, to ensure this cover meets your individual requirements. By placing an order with us (whether through our site, over the telephone or by other means), you warrant that you are legally capable of entering into binding contracts, you are at least 18 years old and you are resident in, and accessing our site from Spain. After placing an order, you will receive an e-mail from us acknowledging that we have received your order. Please note that this does not mean that your order has been accepted. Your order constitutes an offer to us to buy a Service. All orders are subject to acceptance by us, and we will confirm such acceptance to you by sending you an e-mail, fax or letter that confirms that we have accepted the order (the Confirmation). The contract between us (the Contract) will only be formed when we send you the Confirmation. The Contract will relate only to those Services that we have confirmed in the Confirmation. We will not be obliged to supply any other Services which may have been part of your order until it has been confirmed in a separate Confirmation. You hereby permit us to apply approved pesticides and or deploy equipment as we deem necessary, to deliver an effective treatment, subject to our compliance with all legal requirements. You agree to provide us with free access to all parts of the premises for the purpose of inspection, treatment or surveillance and agree to ensure that all safety and treatment instructions are followed during and post treatment. You agree to supply us with all relevant information, prior to the visit, with respect to the infestation or suspected infestation. You hereby covenant not to request or permit us to access any part of the site or premises which you know or suspect to be hazardous, or in which a potentially hazardous process is carried out, without first briefing us or our employee on the nature of the hazard and the precautions to be observed. You or your nominated representative must be available at the site during the agreed date and time slot, unless prior arrangements have been made in advance for us to carry out the Service in your absence. If no one is present when we call at the agreed slot there is no entitlement to a refund and you will still be liable for our contracted fee. This product meets the demands and needs of those who wish to ensure that their home is covered in the event of a pest infestation for the pests shown in this document. 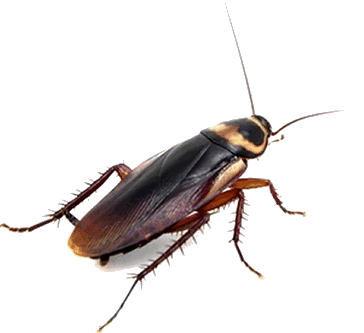 This service is a home pest infestation treatment cover and not a household buildings or contents policy. It should complement your household contract policies, and provide benefits and services which are not normally available under these policies. What we undertake to do is arrange for rapid, expert help if you suffer a pest infestation in your home arising from an incident covered under these terms. Action will be taken to stabilise the situation and resolve the infestation. Two inspections per year (One spring and one autumn) and a third call out requested by the owner, should a pest treat be required. See: Standard Terms and Conditions. (b) make the home uninhabitable. 2) A situation deemed to be an emergency by the home owner. Home Your principal private residence in Spain or holiday home in Spain including finished under builds (that meet the room definitions) and adjoining outbuildings. Gardens are also included (except for cockroaches). Denia, Javea, Moraira, Benissa, Calpe, Altea. Other areas please inquire. 1. Any event which is an Emergency. 9. Where at or before the start of the first period (month) of contract in our reasonable opinion you were aware that a call out was likely to be made. 10. Call out to any known or pre-existing pest problems. 14. fraud or where false information has been provided to us or the administrator.